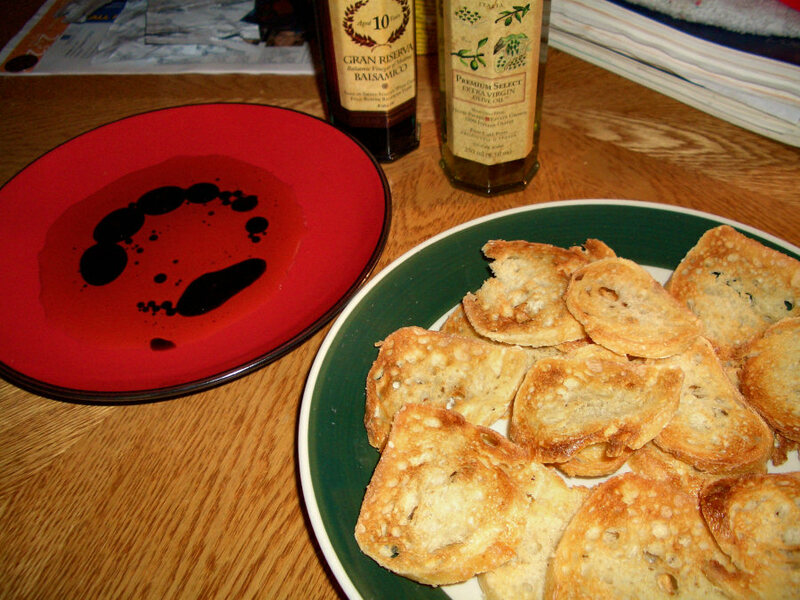 (Going left to right…) The first one is an appetizer we had a couple nights ago — toasted sourdough slices with a balsamic vinegar/extra virgin olive oil dip. I used to hate balsamic vinegar but I really like it now. The second image is of the smoked chicken sandwiches we had following said appetizer. 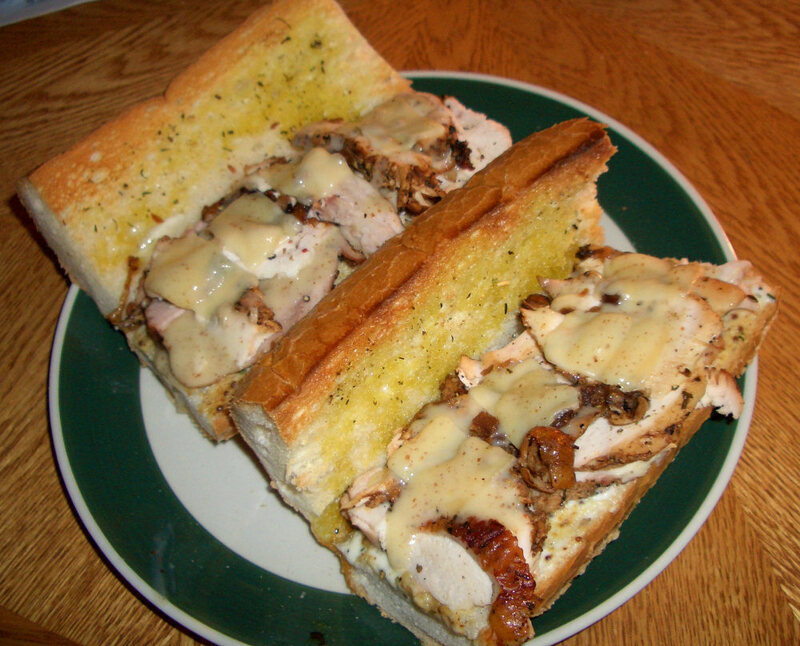 Ingredients: Ranch dressing, Inglehoffer stone ground mustard, wafer-thin slices of parmesan, smoked chicken breast and leg meat, mustard vinegarette, cumin, pepper, olive oil and herbs (on the bread). Stuck ‘em under the broiler for a bit to warm everything, melt the parm, and toast the bread. Very tasty. The last photo is my failed savoy wrap. I could not get the cabbage leaves off the head in large enough pieces to use as wraps. So I chopped it up into thin strips and integrated it with the ground turkey. I suppose we could’ve eaten the “filling” in bowls, but I had wraps on the brain so we used tortillas. It was pretty good. I love cabbage. 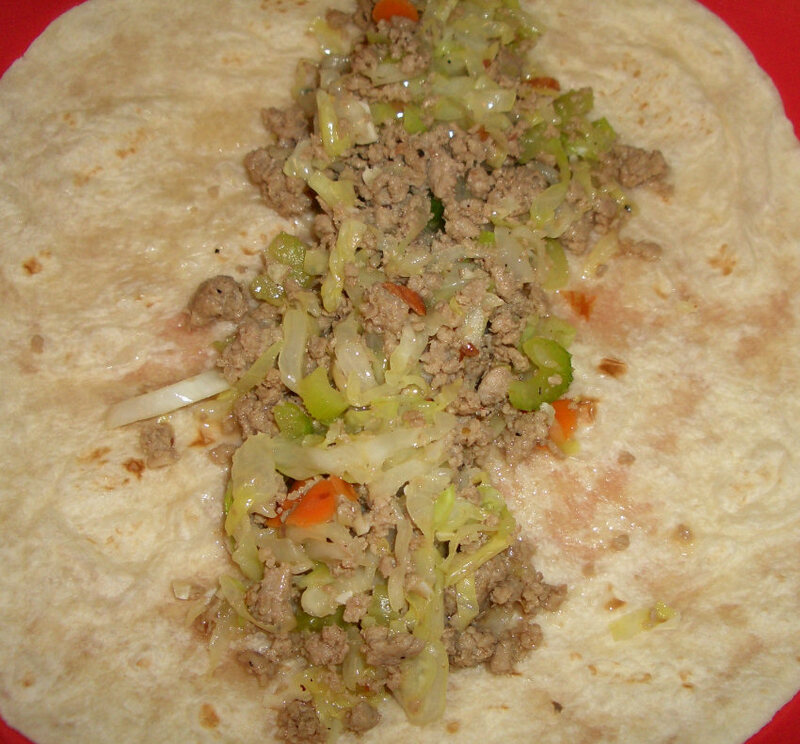 Ingredients: Minced almonds, mirin, soy sauce, pepper, ground turkey (used cuz Peter frequently sings its praises), blanched celery, carrots, cabbage (green and savoy). Last week Jones and I played a game of Mafia over on Tim’s forum. It went strangely; a lot of people didn’t participate, the days were extremely short, etc. Somehow we (the town) won, but there was very little real strategy. So a few days ago I registered at mafiascum.net to get some perspective — signed up for one of their “newbie” games. What an eye-opener! We were doing things so completely wrong it’s not even funny. 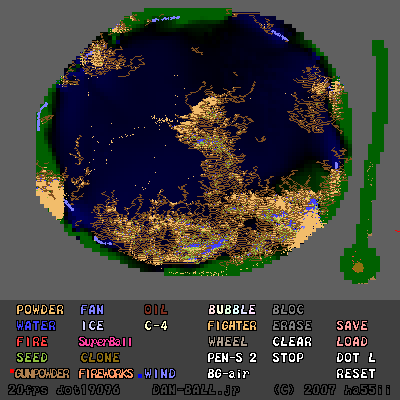 For one thing, the game can’t work properly with six-hour days. “Days” on mafiascum.net often last weeks. And the way they play is radically different; it’s more like being on a debate team or in a rhetoric class than what we were doing. Real Mafia games require huge amounts of patience, detachment, subtlety, and research. The amount of study you have to devote to past posts (we’re up to 226 and it’s only day two) is staggering. Just keeping all the characters and votes straight is pretty tough. Their wiki is pretty helpful though. Jones gave me this Truth Serum TPB by John Adams for my birthday. I don’t often read Indie comics. Sure, I read obscure stuff, but nothing I’d actually call “Indie.” Truth Serum really is though. It’s very strange. Sorta strikes me as a cross between The Tick and the movie Happiness, but without the compassion. I know that sounds weird, but it’s hard to classify. One kinda interesting detail: Chester’s dad looks almost exactly like Aloysius from Courtney Crumrin. Anyway, neat book — very unique. Oh, I talked to Charlie (from Federal Way) on the phone yesterday. Turns out he and Ashley are officially split up (though it seems to me like they still want to get back together somehow; it’s an odd situation), he moved into a three bedroom apartment with Peter and his girlfriend, and he’s been moved up to a driver’s assistant at UPS (slated to become a full driver in six months because of age requirements). I’ve really got to visit over there soon — I’m really out of the loop. What else? Brett bought tickets to a Bright Eyes concert in Spokane, so we’ll be over there the evening of the 15th. I’m not really into BE, but stuff’s always better live and I’m told there’ll be drinks in the balcony area. Should be interesting. Mmkay, that’s all for now. I can’t say I like the new version. On one hand, it has less sidebar detritus (ads, RSS aggregator buttons, CC license details, etc. ), a nice quotation indicator, and makes left-/right-aligned images look better. But OTOH, it’s no longer horizontally-centered (ugly on widescreen monitors), now uses a serif font (slightly less readable and not as suitable for a news blog, IMO), has lower information density (a bad thing since BB’s always been on the sparse side), requires more scrolling than the old version, is still fixed-width, has the author/timestamp info in a less useful place, and the logo is uglier (though the changes are minor). 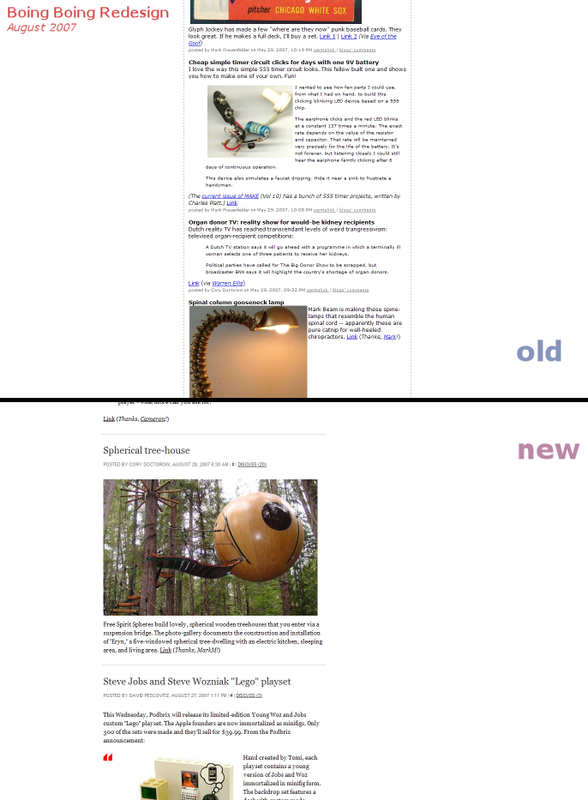 Slashdot’s 2006 redesign was a big step forward. This one, not so much. If they’d just moved to a variable-width format I’d probably welcome the change. Oh well, the content’s still good. 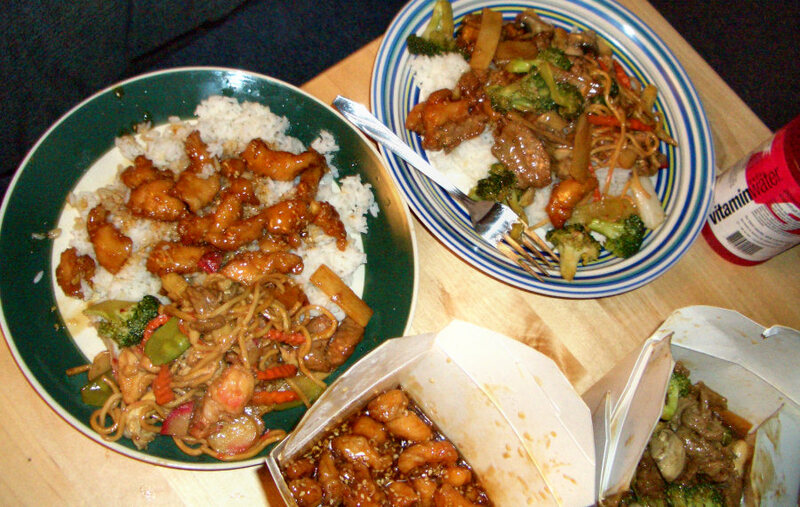 I really liked their sesame chicken and the broccoli with beef was as amazing as usual, but I wasn’t a big fan of their house chow mein. Brett disagreed. 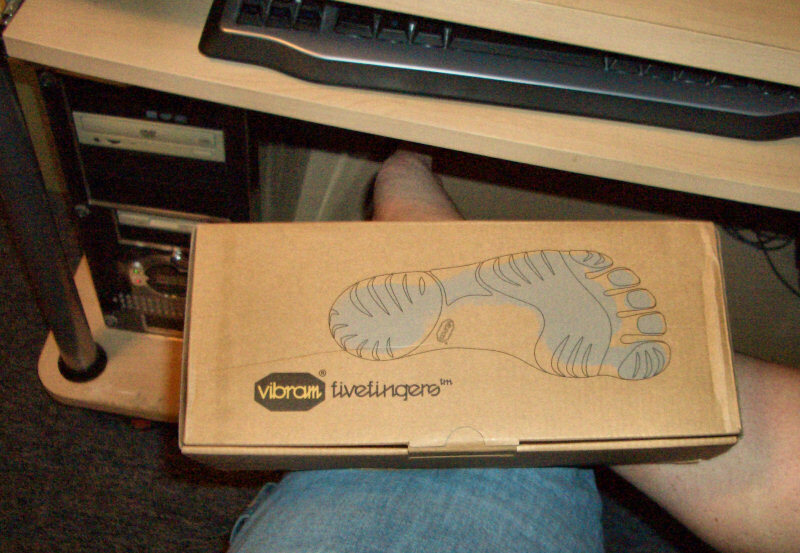 Anyway, my Vibram FiveFingers arrived today! My mom got them for me, which is awesome (and super nice of her) since I probably wouldn’t have gotten them for myself. (I have a hard time spending more than $50 on something as frivolous as shoes.) 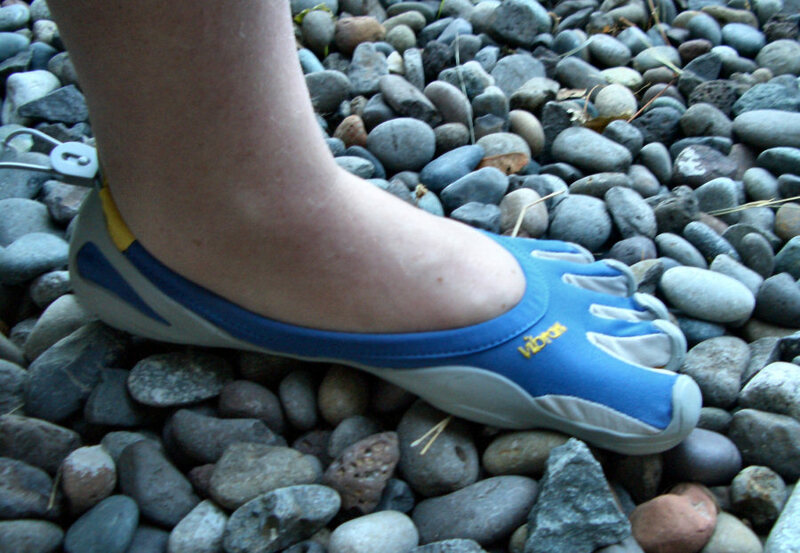 I was kinda worried they wouldn’t fit right, especially since Vibram uses European sizes, but they do. They feel great, in fact. Walking around in them really is like being barefoot, except on rocks and things like that because they don’t hurt. Speaking of my mom, she made this phenomenal chicken on Monday. 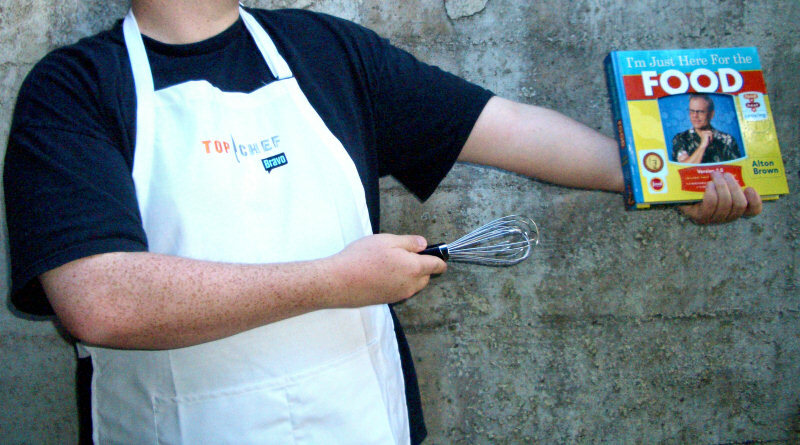 She grilled/baked it in the smoker with these Greek spices. The only specific flavor I could pick out was cumin. She actually did two whole chickens that way at the same time and sent one home with me for Brett and I to eat. She also used the stripped bones, some herbs from her garden, and the remnants of a veggie platter we had before lunch to make a great chicken soup (sans the meat). I had some of that last night (she filled a huge Mason jar for me before I left) with some ultra-chewy sourdough bread for dipping — très delish. I had a sore throat all last week and had been downing Chloraseptic like crazy hoping it’d just go away. Felt like I had a big ol’ partially-scabbed-over wound somewhere in my esophagus just above my right collar bone. At my dad’s suggestion, I started taking antibiotics. It’s only been about a day and a half now, but my throat feels 100% better. Now I just have to remember to take these things three times a day for another seven days or so. I’m back in the Tri-Cities. Man, too bad there’s not, like, some kind of Pullman-Pasco courier service I could temp for. I could be making beaucoup beer money on the side. ‘Course, I don’t really like beer… “comic book money” would be more appropo, I guess. Anyway, I was going to drive up to Redmond this weekend and visit the Game-A-Lot crowd (Charlie, Garret, Anthony, Nolan, et al. 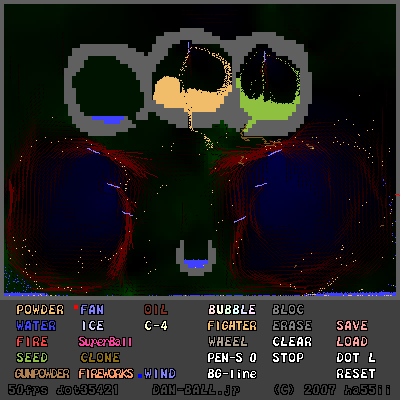 ), maybe drop by PAX for a bit. But my back is on the verge of complete recovery right now and there’s no way I’m going to risk another two weeks of chiropractors, ice packs, and Aleve by doing ten hours of driving in such a short period. So I came over here to take care of my parents’ animals again while they’re off doing the dog show thing. 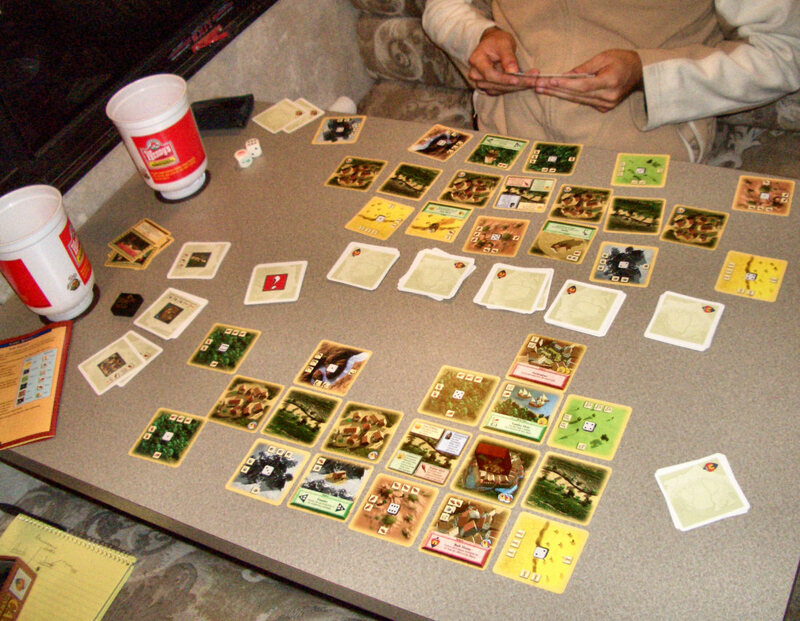 Then we broke out the Settlers of Catan Card Game. It seemed very over complicated at first (10 stacks of cards and two 9-card principality matrices just to start! ), but we figured it out in about twenty minutes. 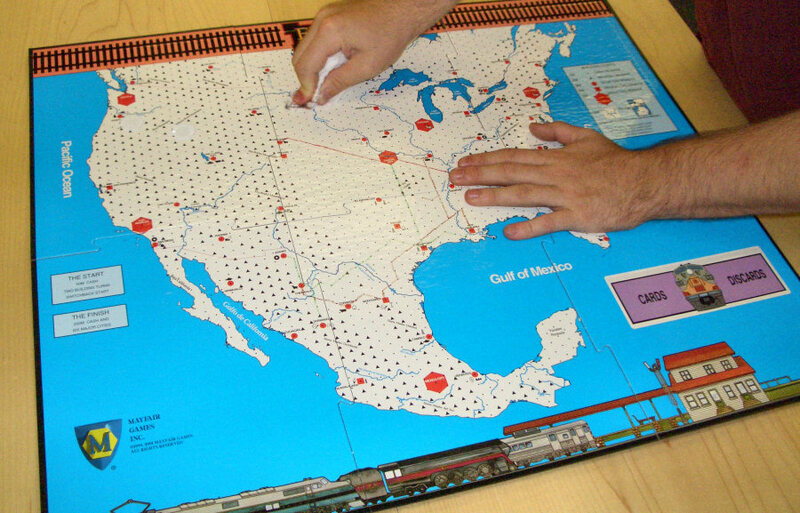 (It really helps to have experience with the original board game.) Very fun; it may be the best non-collectible two-player game I’ve played yet. 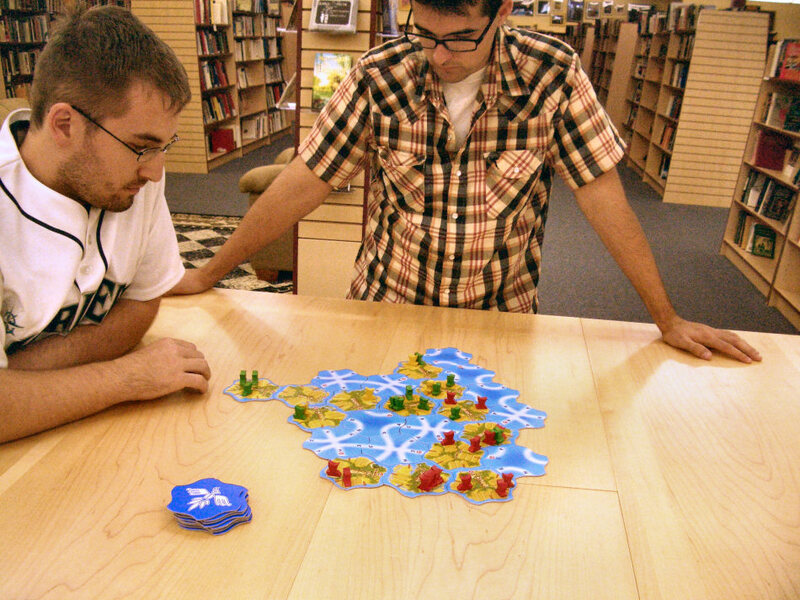 It has way, way better balance for two players than the board game. Some things we noticed while playing: You need a big table for this one (at least 3′ x 4′), the gold resource is really only useful for searching expansion decks and buying/using mints, and brigands steal very strange things indeed. I took pictures of these games, but I’m too lazy to transfer/edit/upload ‘em on my laptop ATM. 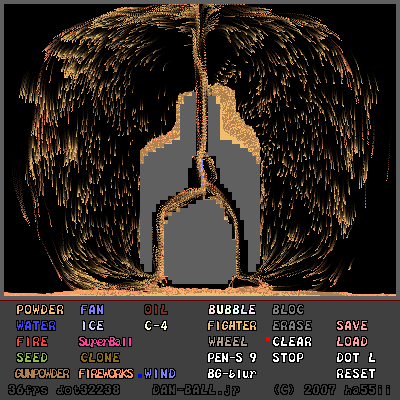 (The interface isn’t as comfortable/easy/fast as my desktop’s.) 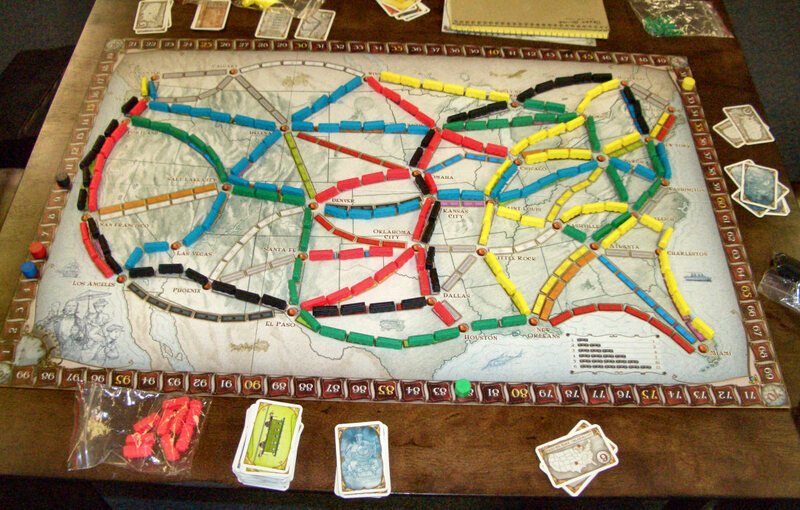 I also have pics of dinners and Ticket to Ride Online screenshots, so my next post should be a real JPEG bonanza. BTW, been watching Stargate SG-1 season 10 pretty heavily the past few days. The episode 200 has some really mind-blowing meta references and hilarious parodies. Frex: SG-1 and the SGC staff as Team America marionettes, Teal’c as Shaft, SG-1 as the characters from Farscape and Star Trek… Just amazing. If you’re a fan of the series and stopped watching before season 10, do yourself a favor and TiVo/torrent this ep. So far I’m really impressed with season 10. Seasons 8 and 9 really seemed to highlight the series’ decline, but something must have changed with the last one. I still think the Ori are a poor substitute for the Goa’uld, but it’s starting to work for me. At least they’re better than the Replicators. Okay, I’m gonna watch a little of disc three and hit the hay. Gotta put the dogs out and water everyone at 9:00 AM. Hopefully I can rope Logan and/or Robert into some gaming tomorrow. Hey, I’m twenty-five now! It’s nothing special. I’m looking forward to the reduced auto insurance rates though. So we didn’t get around to boating this weekend — it rained rather unexpectedly Sunday and Monday (and the temperature dropped to ~75°F). 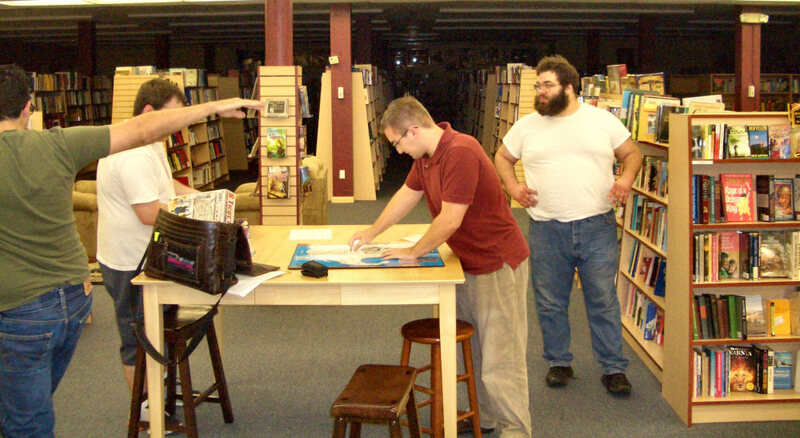 But we did a lot of boardgaming over at Adventures Underground. 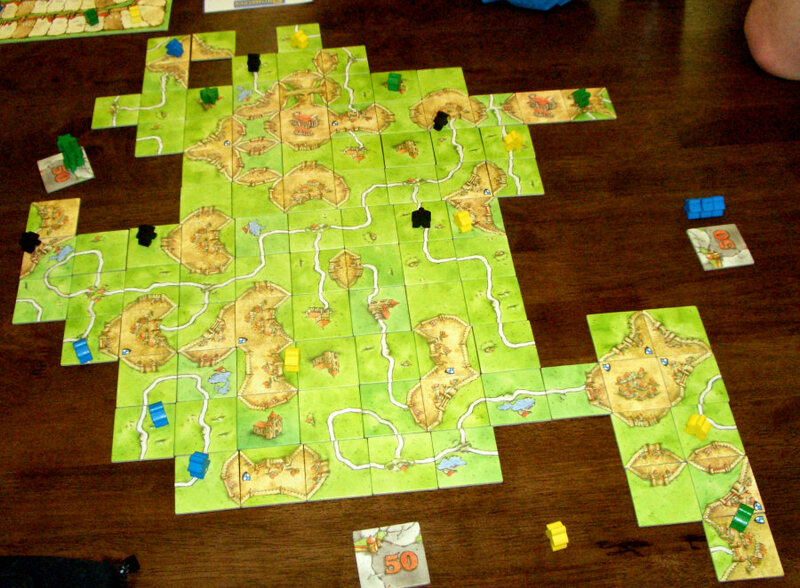 On Saturday Jones, Logan, Heather, Brett, and I got together at AU and played Carcassonne (I won via superior farm strategery). Then I bought some train boardgames (Ticket to Ride and Empire Builder; I couldn’t decide between the two, so I got both) and we tried out the former. Ticket to Ride is incredibly fun — almost as good as Settlers of Catan. 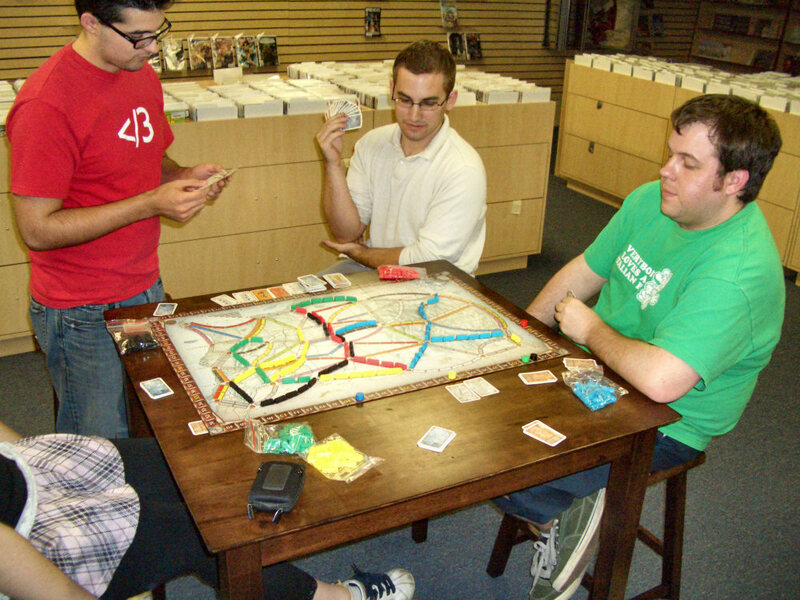 Ticket to Ride is really easy to learn — it’s probably on about the same level as Cowpoker or Alhambra in that sense. Basically, you collect train cards which can be used to claim routes of the same color and length (e.g. Helena–Omaha can be bought by turning in five red cards or four red cards and a wild card, etc.). Your route purchases are usually influenced by your destination cards, which require you to link two cities (though the path can be as circuitous you like). You get points for routes (the longer, the better), completed destinations, and having the longest continuous track; you lose points for incomplete destinations. 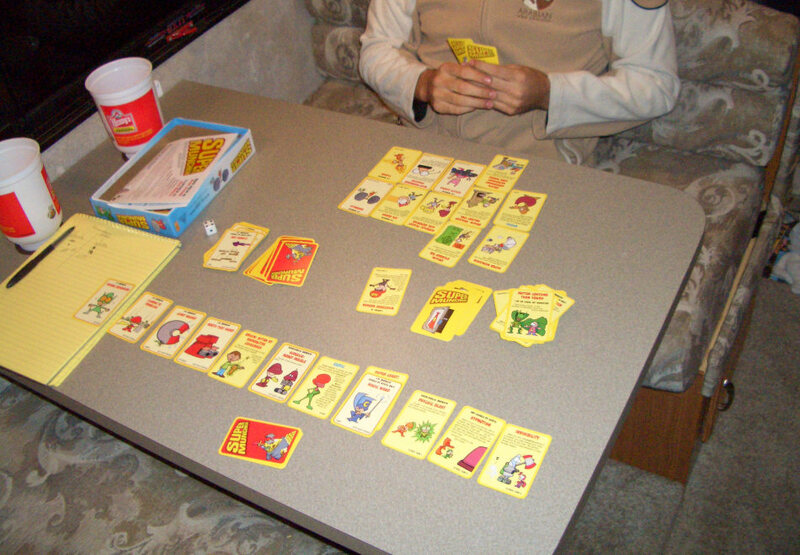 The whole things plays very quickly once everyone’s familiarized themselves with the board. Of course, we were mostly just killing time till the store closed and we could go see Superbad. But TTR was so fun we pushed things back so we could catch the last showing. The movie was surprisingly good. I honestly expected it to be a shoddy American Pie ripoff. “This’ll be the one where Judd Apatow and the next-gen-frat-packers really sell out,” I thought. I was completely wrong — it was fantastic. Not as good as Knocked Up, but better than The 40 Year-Old Virgin (and probably funnier than either). Aside from ten minutes of drunken dialogue/slapstick, it was hilarious throughout. (Are drunken/stoned people’s antics really funny to anyone? They only annoy me.) The previews really don’t do it justice. And I love that they didn’t shoehorn any messages or superfluous home life scenes into the film. Also, it turned me around on Jonah Hill (née Feldstein); he’s not always as obnoxious as I’d figured him to be. On Sunday we were back at Adventures Underground sans Heather (I think she was working or something). This time Robert joined us for some more TTR and our first game of Empire Builder (which Logan was knowledgeable about, having played it extensively some years ago). None of us were particularly thrilled with our intial foray into this Mayfair Games product, but I think subsequent sessions could change some minds. When you first open the box it seems overly complicated. (Maybe it doesn’t need quite so many tradable resources…) But I love the way you build your routes by drawing them. Might be worth it to swap the board for some 17×24″ photocopies and markers though; the crayons don’t show up quite as well as I’d like. A larger re-creation with plywood, finishing nails, and colored yarn would be better still. Anyway, I think it has potential. After the game, Logan, Jones, Heather, and I went to Logan’s place in West Richland to watch Return of the Living Dead (after dropping off Robert in Richland and running over to Pasco so I could take care of my parents’ animals and drop off Brett). This movie was also better than I expected. Not as good as Romero’s Dead series (and remakes) or Shaun, but very watchable. Definitely better than Fulci’s Zombie, Dead Alive, and Cemetery Man. Maybe not quite as good as Evil Dead, but very close IMO. 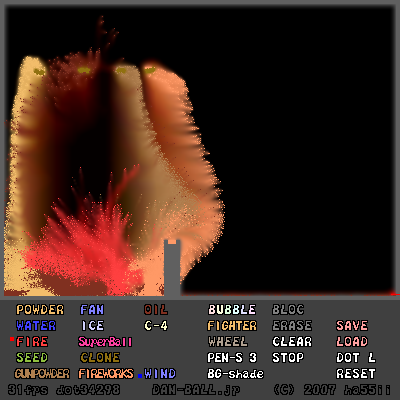 Hey, BTW, didja know Suprnova’s back? The Pirate Bay owners are running it now. Welp, I’m in the Tri-Cities again. Brett came along this time. I’m here to take care of my parents’ animals while they’re in New Mexico delivering a puppy to my uncle’s family and visiting my paternal grandmother. My back felt much better this morning; still got some odd aches in my right side, but at least I can tolerate sitting for more than a half-hour now. We drove over around 1:00 PM so I could make a 4:00 appointment my dad made me with Dr. Redfield. I don’t really understand this chiropractic stuff, or trust it much for that matter, but he seemed to know what he was doing. He asked me to come back tomorrow afternoon, which is awfully nice of him considering he doesn’t normally work on the weekends. I think we might all go out in the boat tonight. I hope so; it’s a lot of fun and it’d be helpful if I’m to do it myself on the weekend. BTW, this is my new favorite drink: The Arnold Palmer. 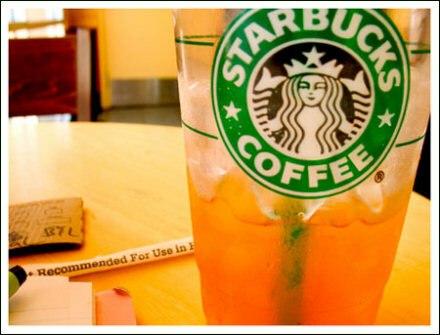 Starbucks makes a great version with black tea. I could down like five “venti”-sized cups of this stuff in one sitting, no joke. 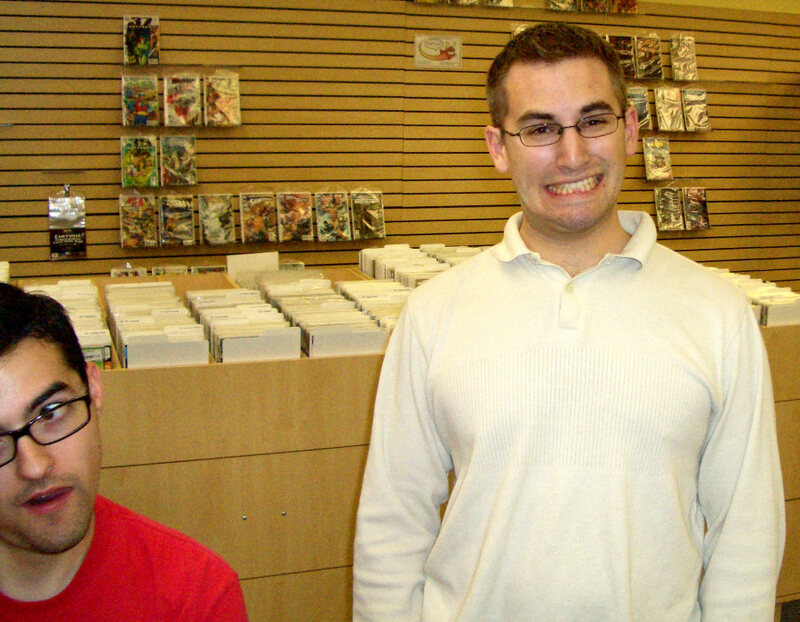 You are currently browsing the Upsidaisium.com weblog archives for August, 2007.